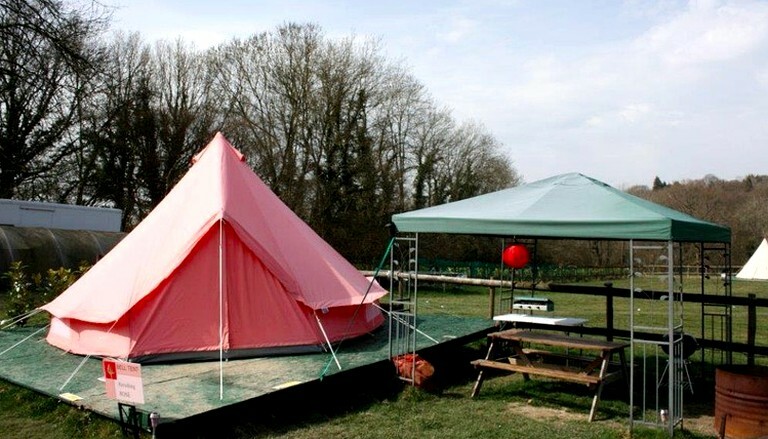 These cozy bell tents are the perfect glamping getaway for couples or groups of four. 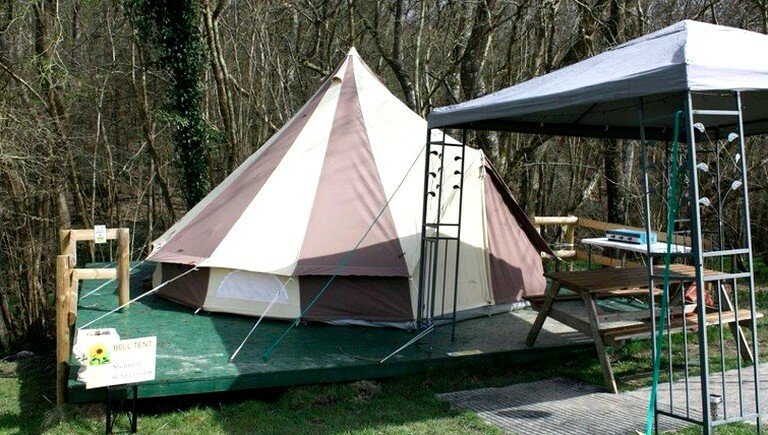 Situated in the woodlands of East Sussex, England, these units are about as close to camping as it gets. 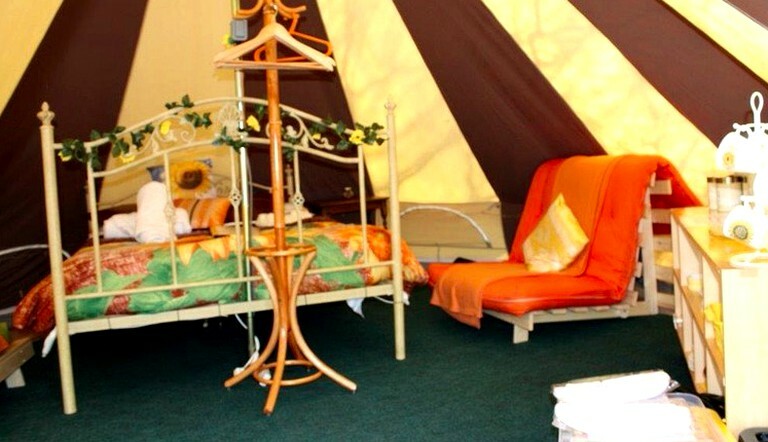 With heating, linens and electric blankets included, these furnished bell tents provide the utmost comfort. 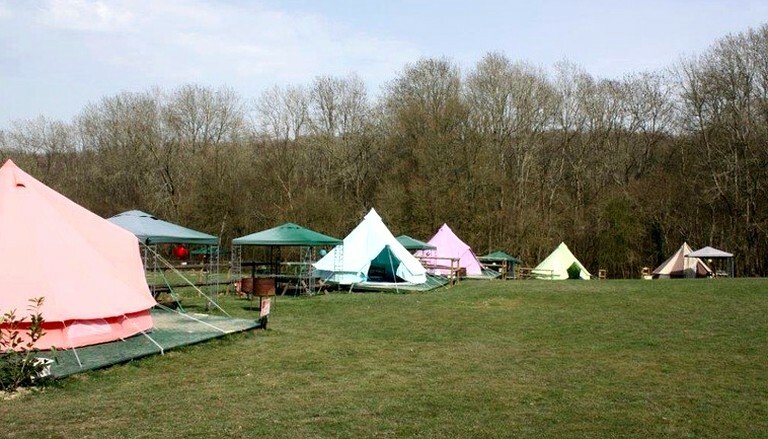 There are five bell tents in total. All are color-themed and named respectively as "Rose," "Bluebell," "Lilac," "Forest" and "Sunflower." They can accommodate up to four people. For sleeping, guests with have double beds and futons. All are nestled in idyllic and tranquil woodlands or on the edge of the property. All of these bell tents equipped with everything guests will need including electric heating, ice buckets and even electric blankets. This property is well-equipped and offers facilities such as a sky multi-room, where guests can view what they wish on a nine-foot screen. There is also a health suite which contains an Infrared sauna, a hot tub spa, and a body-jet shower. Taken in conjunction with the full range of beauty treatments and massages and spa therapies, this provides a relaxing and luxurious range of facilities. They also offer reiki, a complementary therapy treatment that helps the body to work more effectively, as well as reflexology, an ancient method of healing foot massage, which has been used for thousands of years in places such as China, India, and Egypt. All of the accommodations have real feature beds, sofa beds, and double- or single-sized futons. Everything is provided right down to the ice bucket! All of the accommodations are also self-catering. There are fridges, BBQs, gas camping stoves, and even open-barrel fires for obligatory marshmallow toasting! Each accommodation has a three by three meter metal-framed gazebo and outside a picnic bench. There is also a complimentary beverage area with a range of teas, coffee, chocolate, Horlicks, Nesquick, fruit bowls, biscuits, donuts, homemade cakes, and, of course, milk, sugar, and tea are available 24/7. This site offers an award-winning gourmet breakfast at $19 per person that boasts anything from a full English breakfast to eggs benedict, pancakes with maple syrup and banana French toast, and haddock and smoked salmon. The list is endless! The property has 10 acres of land including five acres of ancient bluebell woods, so there is plenty of room to wander around. There are gardens, woods, and a stream to explore. Guests can also arrange falconry displays with Colin Breck at discounted prices. Other activities include archery and garden games, walking, biking, horseback riding, shooting, fishing, golf, and wine tasting at local vineyards. Guests can head to the many beaches scattered about, visit the castles and gardens all around, explore lots of local English Heritage and National Trust properties with houses, castles and gardens, and explore the local steam railway. Locally, there is a plethora of fantastic places to dine, including a Michelin-starred restaurant. During guests' stay at this glamping site, guests can venture out a bit and find plenty to do. 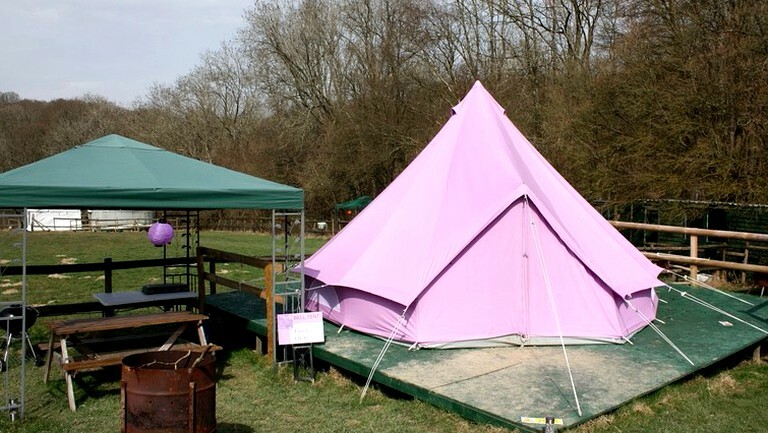 There is a pub in walking distance of this glamping site, and there is also a vineyard for wine tasting. The Bodiam Castle is fabulous for a walk and is only five minutes from the glamping site. 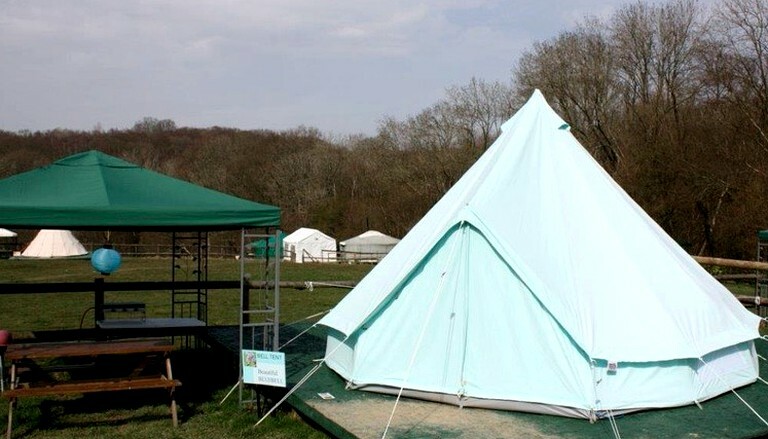 This glamping site can cater for families, groups, and corporate events. They offer breakfast, a BBQ menu, a carnivore and carbs menu, vintage tea parties, and pizza parties. They can cater guests for the duration of their stay, or guests have the option to self cater using the BBQs, gas camping stoves, and open-fire barrels provided. There is a complimentary beverage station and a license to sell alcohol. Activities on site include archery or garden games, a health suite with a sauna and hot tub, and beauty rooms with spa and massage. Finally, there is a midnight curfew at this glamping site and all clients are expected to adhere to this as a sign of respect to other glampers, guests and neighbors. 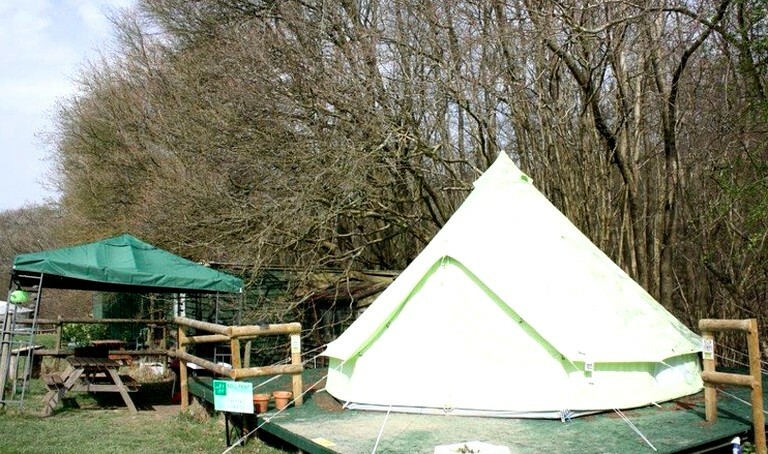 Although the glamping site is in the middle of a 10-acre plot, it is very quiet. Guests can hear a pin drop at night, and noise carries for several miles. Guests are informed that any music and noise must stop at midnight. Guests are expected to retire to their accommodation and head to bed at this time.